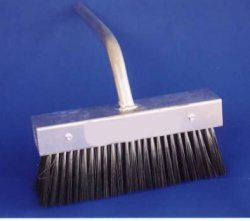 A Heavy duty steel 12" clean out brush designed to prevent damage to your hearth. This custom brush features a 45° angle to allow easy removal of cremated remains. Replacement of worn bristles is made simple by removing only four screws and replacing the brush head.